Skye Gravestones | John & Catherine (Mackinnon) Maclean, d. Johan. John & Catherine (Mackinnon) Maclean, d. Johan. 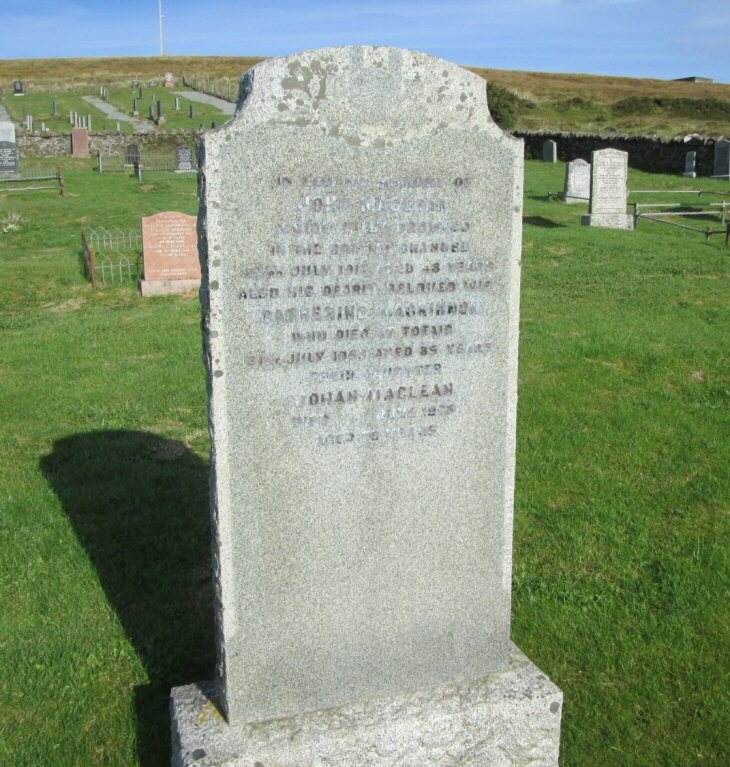 In loving memory of/JOHN MACLEAN/accidentally drowned/in trhe Bristol Channel/23rd July 1914 aged 43 years/also his dearly beloved wife/CATHERINE MACKINNON/who died at Totaig/31st July 1953 aged 85 years/their daughter/JOHAN MACLEAN/died June 1975/aged 70 years.